CHICAGO – What can be said about “Man Up” that wasn’t already said about “Last Man Standing”? Neither show has the slightest shred of insight into the mind of modern man. They appear to have been conceived by network executives who hate men with a fiery passion. How else to explain the thoroughly insulting, utterly asinine portraits of masculine arrested development? CHICAGO – Most comedies feature a few key decisions or even just a few moments where you, the viewer, know someone made the wrong choice. Whether it’s something as small as thinking that a punchline works when it doesn’t or something major like the wrong casting decision, modern movie goers are smart enough to tell when they’re watching something dumb. “Take Me Home Tonight,” recently released on Blu-ray and DVD is very, VERY dumb. 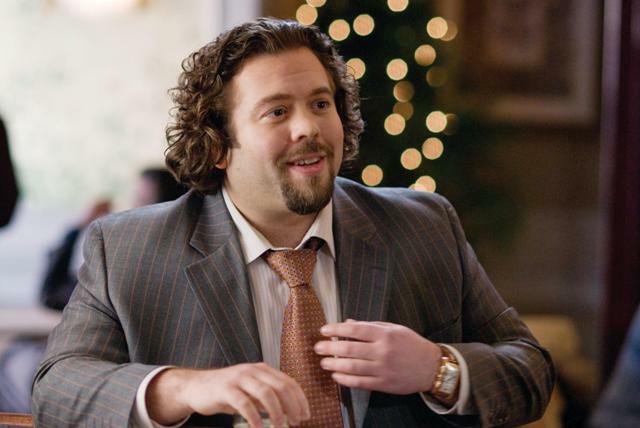 Dan Fogler stars as literary agent Lane Martin. CHICAGO – This 22-image slideshow contains the official press images for “Love Happens,” starring Aaron Eckhart, Jennifer Aniston, Dan Fogler, Judy Greer, Joe Anderson, John Carroll Lynch, Frances Conroy and Martin Sheen. The film was written by Brandon Camp & Mike Thompson and directed by Camp and opens on September 18th, 2009. It is rated PG-13. CHICAGO – In our latest trippy edition of HollywoodChicago.com Hookup: Film, we have 50 admit-two passes up for grabs to the highly anticipated Chicago screening of “Taking Woodstock” from Oscar-winning director Ang Lee (“Brokeback Mountain” and “Sense and Sensibility”).